At 50 years of age, Killeen High School's Club Allegro choir show hasn’t lost a step and this year's version is rocking hard as ever. 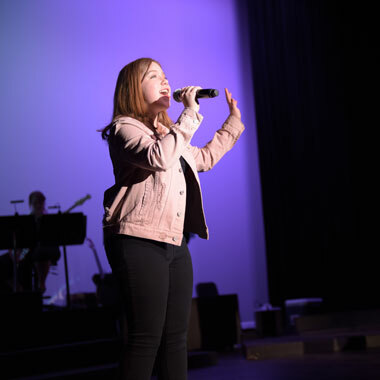 “Reeling in the Years” is this year’s theme for the oldest show in town, choir director Justine Halamicek said, promoting the choir pop show that first opened in 1969 in the school cafeteria. Expect a few KHS choir alumni to join the show as guest MCs on stage to help introduce 25 acts featuring music from the 1970s to the present with a few nods to past Club Allegro presentations. Tickets are $10 in advance through Thursday and $12 at the door. Saturday’s show starts at 7 p.m. A silent auction and light refreshments will be available. As always, Club Allegro raises funds for college and choir camp scholarships. A live band and professional sound and light will make the night even more special for student performers. Killeen High senior Avalyn James is the official mistress of ceremonies and hopes to have plenty of help from alumni guests to bring a nostalgic touch to the school’s long-running musical tradition. A lot of the work for performers goes into the auditions in December, when more than 100 acts went before judges. Each individual or group comes up with a song and prepares their choreography and backup vocals. 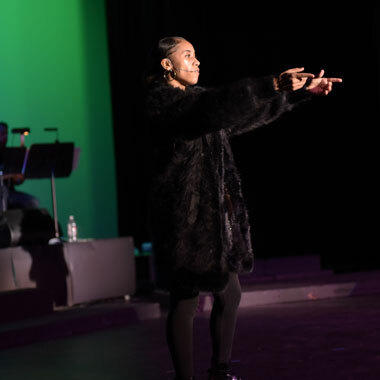 In some ways, for students, the night on stage is a surreal moment of bright lights and wild audience applause that is an emotional charge for seniors, who prepare their own class song performed near the end of the night. Senior Elizabeth Mattson and her peers said the busy final year is already crowding schedules, but that in the bright lights of their final Club Allegro, the emotion will certainly flow. Sean Alexander, KHS senior and choir president, said it’s a fun, emotional time for the close-knit choir students to perform all together in front of a large audience.